In 1999, AFDOSS established the Mary Logan Scholarship in honor of one of our great members who served as Secretary/Treasurer for our regional affiliate for 30 years. Mrs. Logan, who is now retired, worked 39 years with the Tennessee Department of Agriculture. This scholarship in the amount of $4,500 is designed to be awarded to top students who have demonstrated a desire to serve in a career of research, regulatory work, quality control, or teach in an area related to some aspect of foods, drugs or consumer product safety. Student candidates should have demonstrated leadership capabilities and must have at least a 3.0 grade point average. 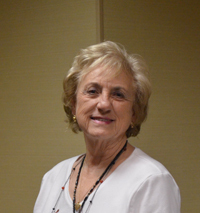 The 2019 recipient of the Mary Logan Scholarship will be announced at the AFDOSS Business Luncheon on June 25th, during the 2019 AFDO Annual Education Conference to be held in Atlanta, Georgia. The criteria for this award reflects the love and dedication that Mary Logan has for AFDOSS and for every person that belongs to AFDOSS, or supports its goals and objectives. This award stands not only as a tribute to Mary Logan, but as a reminder that AFDOSS must always support and encourage the training and development of people. It is a symbol that the role of AFDOSS will not only live on, but that its role will expand and grow. Have primary residence in one of the AFDOSS states (Alabama, Florida, Georgia, Kentucky, Louisiana, Mississippi, North Carolina, South Carolina, Tennessee, Texas, Virginia, or the territory of Puerto Rico) to be eligible for consideration. Be either a current, or officially accepted, part-time or full-time student planning to attend college the next semester pursuing an undergraduate or graduate degree. Have at least a 3.0 grade point average. Submit the completed application, two (2) letters of recommendation, and a copy of the most recent transcripts to Cameron Smoak on or before March 15 of the current year. Submit the application to Cameron Smoak, 1071 Brooks Rd, Madison, GA 30650 or by emailing a packet to csmoak@afdo.org. If possible, the complete application should ideally be sent in a single PDF file (transcripts may need to be sent separately). To apply for the Mary Logan Scholarship Award, please download our application. This year’s scholarship awardee is Emily Branum, a senior at East Tennessee State University. Branum is receiving $4,500 from the 2017-2018 Mary Logan Scholarship Fund to use toward her studies as she completes her Bachelor of Science degree in Environmental Health. Described by professors at her school as a “rising star,” Branum is a productive and motivated student who plans to attend graduate school after her undergraduate studies.